J.H. 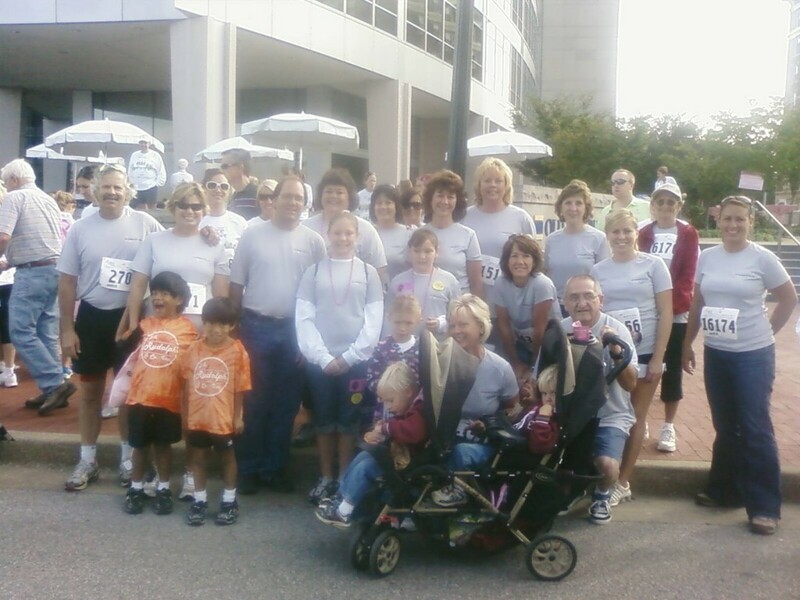 Rudolph & Co., Inc. sponsored a Komen Evansville Race for the Cure team again this year to support the fight against Breast Cancer. The 2009 team was one of the largest ever! Racing for the first time in Downtown Evansville, the 12thannual race was a huge hit with race-goers. Booths lined Riverside Drive and a tissue test bank was set up, one of only a few in the entire U.S. The weather was beautiful and the comradery was wonderful! Donnie Hirsch, the plant operator at the Green River Road plant, was in the Evansville Courier Press recently. The picture was taken as Donnie crossed the Finish line. This is the link to the article. Congressman Brad Ellsworth stopped by the J.H. Rudolph Green River Road Asphalt Plant to get a better understanding of current and future transportation projects in his district. Employees from J.H. Rudolph, Mulzer Crushed Stone and representatives from Build Indiana Council and Asphalt Pavement Association of Indiana met with Congressman Ellsworth during his visit to answer questions and speak to him about issues facing the transportation construction industry in our area. Alvin Evans, President of J.H. 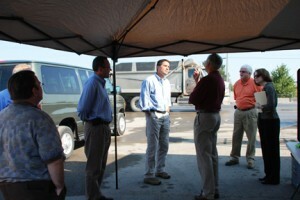 Rudolph & Co., Inc., showed Congressman Ellsworth how J.H. Rudolph is using recycled shingles, tires and asphalt for many of projects. After discussing the ‘green’ innovations that asphalt plants are performing on a daily basis, Congressman Ellsworth commented, “when it comes to cap and trade, offering incentives to businesses is a better way to achieve conservation.” Other topics discussed included I-69 and the Reauthorization of the Federal Highway Bill. 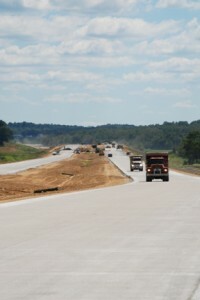 Congressman Ellsworth did not expect the Reauthorization bill to be passed this year but does expect a stop gap highway spending extension to pass this fall. Jeff Mulzer, Vice President of Administration at Mulzer Crushed Stone, Inc., stated, “It is our hope that a reauthorization bill can be passed. That is the best way to provide stable funding to states so they can continue to develop and repair our road system”. 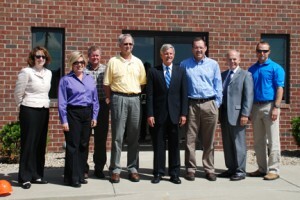 Congressman Baron Hill recently visited the major 231S expansion project in Spencer County to check in on the status of local Stimulus and general construction projects in his district. Employees from J.H. Rudolph, Mulzer Crushed Stone and representatives from Build Indiana Council met with Congressman Hill during his visit to answer questions and speak to him about the future of transportation projects in the area. After visiting and assessing transportation projects in his district, Congressman Hill commented, “I’m convinced that if the Stimulus bill had not passed, we would be in a depression.” Topics discussed with Congressman Hill included the Reauthorization of the Federal Highway Bill. Congressman Hill did not expect the Reauthorization bill to be passed this year but does expect a stop gap highway spending extension to pass this fall. Jeff Mulzer Vice President of Administration stated, “It is our hope that a reauthorization bill can be passed. That is the best way to provide stable funding to states so they can continue to develop and repair our road system”. You are currently browsing the J.H. Rudolph and Co., Inc. blog archives for September, 2009.